There are plenty implements available to help you split wood, both manual and mechanical. But, without a doubt, the mechanical implements make your life the easiest. Gas-powered, electric, and hydraulic wood splitters are capable of splitting enormous amounts of wood in very little time, and with very little effort from you. 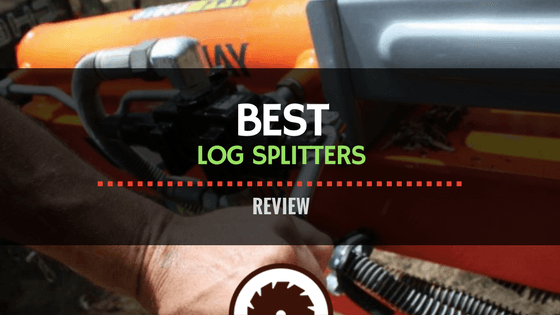 On that note, if you're looking to purchase a log splitter anytime soon, you might want to take a look at some of the best log splitters of 2018 reviews before. 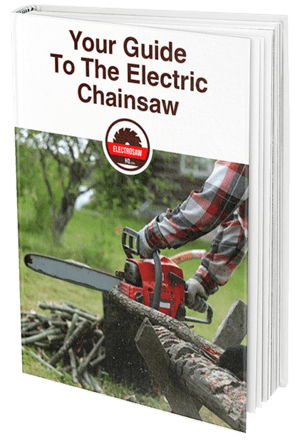 This guide will tell you everything there is to know about log splitters, and will also provide you with a compilation of the 5 best currently on the market. To put it simply, a log splitter is a machine that’s designed to split logs into smaller pieces, turning them into firewood. Using a log splitter is, by far, the easiest way to split large amounts of wood in very little time. There are log splitters of all types available on the market with the most common being gas-powered, electric, and hydraulic log splitters. Each of these types of splitters is more appropriate for specific purposes, all working toward making your life easier. Not all log splitters are created equally. In fact, they are all radically different. For instance, while one splitter may be able to produce a maximum or 7 tons of splitting force, another splitter may be able to produce a maximum of 20 tons of splitting force. Of course, the more powerful a log splitter is, the more expensive it’s going to be. Axes, hammers, and splitting wedges have their place, but if you want to split as much wood as possible in a short amount of time, you need to own a log splitter. While they can be a little expensive, they easily provide enough value to be worth their price. Be Alert: The first thing you need to make sure of when you’re operating a log splitter is that you’re alert and ready. Log splitters work quickly, and you need to be able to react to things such as flying wood chips, smashing splitter rams, and more. Getting a good night’s sleep before operating a log splitter is a necessity. You can’t go into the process sleepy, groggy, and dragging.Know Your WoodNot all types of wood react in the same ways when being split by a log splitter. Some tend to chip more, Some are more resistant. The point is, anything can happen. If you understand the typical behaviors of your wood before you try to split it, you can be ready for things that might go wrong. So, if you’re splitting oak, try to gain an understanding of how oak reacts to a mechanical wood splitter. If you’re splitting ash, understand how ash reacts, and so on. Work Alone: When you’re using a log splitter, it’s important that you yourself have complete control over it. In order to have complete control, you need to be operating it completely on your own. Having several people pressing buttons and pulling levers simultaneously is a recipe for disaster. It’s okay for others to watch. But everyone should keep their distance. Wear the Proper Attire: One of the most important things you need to do when operating a log splitter is to wear the proper clothing and attire. This will prevent you from being injured by stray wood chips. No matter what, always make sure you’re wearing goggles. Aside from that, you would be wise to wear long clothes that cover the entirety of your body. This includes pants and a long-sleeved shirt. In general, there are three types of log splitters. These include gas, electric, and hydraulic wood splitters. Each type carries its own benefits and drawbacks, with particular ones being more suited for particular purposes. Let’s cover them in more detail, shall we? Gas: The first type of log splitter we’ll cover is the gas-powered log splitter. Gas log splitters are, far and away, the most powerful. These are the types of splitters most commonly used by commercial and industrial entities.They are capable of producing huge amounts of splitting power, typically in excess of 25 tons. In addition to their ridiculous power, they are also very portable. Because they use gas, they don’t need to be in close proximity to a power outlet in order to be operated. Electric: Electric log splitters are most typically run through power outlets, though there are a few battery-powered models available. These are typically the best log splitter for homeowners.They don’t possess huge amounts of splitting power, but can typically work their way up to around 12 tons. Because they are run by electrical outlets, they are restricted by the confines of their cord size. Hydraulic: Hydraulic log splitters are the most difficult to operate out of the three splitters. This is because their users must use their own force in order to split logs. By pulling on its handles over and over again, a hydraulic log splitter will slowly crush the log, causing it to split.These types of splitters are recommended for those who don’t have to split an enormous amount of wood. They usually provide around 10 tons of splitting power, though some can provide a lot more. If you’re looking for the best commercial log splitter on the market today, you might very well be interested in the YARDMAX YU2866. Though it’s certainly expensive, it provides tons of splitting power and is the best rated log splitter on our list. Made out of tough and durable steel, this machine is designed to withstand years and years of abuse whether used in a controlled workshop or an uncontrolled forest. Equipped with a small hitch as well as two tires, it can be dragged from place to place via truck. When you’re not dragging it with a truck, you can grab its ergonomic handle and pull it to where it’s needed. A highly-functional splitter, it’s capable of splitting logs both vertically and horizontally. It’s about as powerful as they come, and is available on 25, 28 and 30-ton models. This is more than enough power to split the majority logs you’ll come across. Overall, this YARDMAX log splitter is the best gas log splitter on the market. Powerful, portable, and possessing top-notch construction quality, it’s designed to offer you top-notch functionality through many years of use. Our next log splitter review will be on the Southland Outdoor Power Equipment SLS20825. Another gas-powered splitter, it provides value comparable to the YARDMAX splitter reviewed above. This is due to its exceptional portability, construction quality, and power capabilities. It can withstand the wear and tear of both garages and heavily wooded areas. Equipped with a truck hitch, it can be fairly easily transported anywhere. If you ever need to drag it by hand, you can do so with its equipped handle. As far as power goes, this splitter is just a step below the YARDMAX. It’s available in one model, a 28-ton model which splits the majority of logs with general ease. Capable of splitting logs both vertically and horizontally, it takes around 17 seconds for it to entirely split a log. All in all, the Southland SLS20825 is a terrific gas-powered log splitter. While it’s on the expensive side, it offers more than enough value to make it worth its while. You certainly won’t be disappointed with its functionality. Interested in the best electric wood splitter on the market? If so, you’re interested in the Boss Industrial ES7T20. Coming from the best log splitter brand as far as electric models go, it possesses superb construction, excellent functionality, and fantastic portability. This splitter is made out of tough and durable steel, and is capable of withstanding quite a bit of wear and tear, whether in a garage, shed, or heavily wooded area. For portability purposes, it’s equipped with two wheels and two ergonomic handles. Weighing in at around 100 pounds, it’s fairly easy to drag from place to place. A 7-ton log splitter, it is capable of splitting logs up to around 10 inches in diameter consistently. Possessing an automatic ram return, it’s ridiculously easy to use. Simply pull the lever, and wait for it to set back up. This allows you to almost effortlessly crush loads of wood in a rather short amount of time. All in all, the Boss Industrial ES7T20 is the best log splitter under 1000 dollars. It’s not going to split huge logs but can split small and medium sized logs with great consistency. For a splitter at its price, you can’t ask for much more. If you’re looking for the best wood splitter for the money, you’d be wise to consider the Goplus 6-ton Electric Hydraulic Log Splitter. Available for about half the price of the Boss reviewed above, it offers very similar functionality, plus equal construction and portability. This splitter is made out of tough and durable steel, enabling it to withstand quite a bit of wear and tear. Equipped with two wheels and two ergonomic handles, it’s exceedingly easy to transport from place to place. This allows it to be dragged to anywhere on your property, provided that there’s a power outlet nearby. Possessing 6 tons of splitting power, it can split logs up to 10 inches in diameter, but most consistently splits logs up to around 5 inches in diameter. Equipped with a 2-hand operation mechanism for increased protection, it does everything in its power to keep you safe. All in all, the GoPlus 6-ton Electric Hydraulic Log Splitter is a great splitter for around-the-house use. It’s not the top electric log splitter, but still offers quite a bit of value for its price. While it’s not the best log splitter on the market, the Sun Joe LJ10M Logger Joe is the best hydraulic log splitter. While it takes a little more effort to operate than the gas and electric models on our list, it still offers quite a bit of power. Made out of tough and durable steel, this splitter is designed to withstand loads of wear and tear. Due to its rather small construction, it is capable of fitting into rather small areas. So, what it lacks in portability, it makes up for in store-ability. At its peak, this log splitter can produce 10 tons of splitting power, allowing it to consistently split small and medium sized logs. At its peak, it will split log of 8 inches in diameter and 18 inches in length. All you have to do is place the log on its splitting surface, pump its handles, and do so until the log is completely split. While all log splitters perform the same function, they are far from the same. There are a number of different things which make a splitter better or worse than another. Taking these things into deep consideration will ensure that you purchase the overall best splitter for you. They include its power, portability, construction, noise, ease of use, and splitting ability. Power: Splitters possess all different levels of power. While some provide 7 tons of splitting force, others provide 30 tons of splitting force. Typically, you can expect splitters under 10 tons to split diameters of 10 inches. You can expect splitters between 10 and 20 tons to split diameters of around 15 inches. And you can expect splitters over 20 tons to split diameters of 15 inches and over. Portability: You never know when you might have to move your splitter around. Electric and gas-powered splitters are almost always equipped with wheels, making them very easy to move from place to place. Hydraulic splitters, on the other hand, are almost always wheel-less, making them more difficult to transport. Consider whether or not you’ll need to move your splitter often before making a purchase. Construction: Log splitters are subject to tons of wear and tear. It’s of the utmost importance that they possess tough and durable construction quality. The majority of splitters are made out of steel, allowing them to withstand torrents of abuse. Read online user reviews to see whether or not a splitter is tough enough to serve its purpose. Noise: Log splitters are noisy (unless you go with a hydraulic). That’s just the way it is. But just because splitters are noisy doesn’t mean that you can’t limit that noise as much as possible. Each log splitter is designed in a specific way, and some are designed to limit noise as much as possible. You’re always going to have to deal with some noise, but keeping that noise to a minimum is a possibility. Ease of Use: Different log splitters are operated in different ways. Not every single log splitter is going to be as easy to use as another. There are a number of things which affect a splitters ease of use, from its portability to its operation method, and more. Make sure you have a thorough understanding of how a splitter works before laying down money for a final purchase. Splitting Ability: Perhaps the most important thing you need to consider when purchasing a log splitter is its overall splitting ability. Just because a splitter is a 7-ton splitter doesn’t mean that it’s going to split wood as another 7-ton splitter. Some splitters are designed in a manner which allows them to split wood more consistently. Make sure to do some online research to understand how well a particular splitter performs. If you’ve never operated a wood splitter before, you’re probably a little clueless as to how you use one. Well, let’s get it cleared up, shall we? Gear up: First, make sure you have all of the necessary equipment. You will need safety glasses, gloves, work boots, and your wood splitter before you get started. Make sure you’re wearing your glasses, work boots, and gloves before you start the machine. Set the splitter up: Once you’re dressed and ready, you can move the splitter toward the wood you wish to split. If your splitter is equipped with wheels, this should be a fairly easy process. Once you have it positioned next to your logs, ensure that the splitter is on solid and even ground. If not, there is a risk of it falling over, which could be disastrous. Activate the splitter: Now, you can turn your splitter on. This will require either pushing a button or pulling a drawstring. After it’s running, it’s time to pick up your log and place it on the splitting surface. For the majority of splitters, you will have to place your logs horizontally. Start splitting: After the log has been placed, it’s time to split it. This is done by either engaging the valve or pulling the lever on your splitter. Doing so will cause the machine to push the log rapidly against the splitting wedge, splitting it into pieces. After the wood is split, you will pull the lever back to the starting position. Unless of course, it’s an automatic reset splitter. In that case, it will go back itself. And that’s that! As you can see, using a log splitter is relatively easy. They are all just a bit different, but in general, this is how they are operated. While a hammer and a wedge work for splitting tiny amounts of wood, if you’re looking to split huge amounts of wood, you’ll be best served by a log splitter. Log splitters are designed to split logs in an effortless and timely manner, allowing you to get a huge workload done in just a short amount of time. There are tons of great log splitters on the market today, from gas-powered splitters to electric splitters, to hydraulic splitters, and everything in between. The best overall log splitter on the market today is the Yardmax YU2866 28 Ton Full Beam Gas Log Splitter. A hugely powerful gas log splitter, it is capable of splitting at intensities of up to 28 tons, breaking up just about any log you throw at it. Don’t spend hours and hours laboring over your wood. Invest in a log splitter and let it do almost all of the work for you.